Minimum wage hikes are unlikely to reduce crime rates and instead could increase them, according to a new study produced by the National Bureau of Economic Research (NBER). The study’s release coincides with the House Education and Labor Committee’s advancement of the Raise the Wage Act of 2019, which would increase the federal minimum wage to $15 an hour over several years. 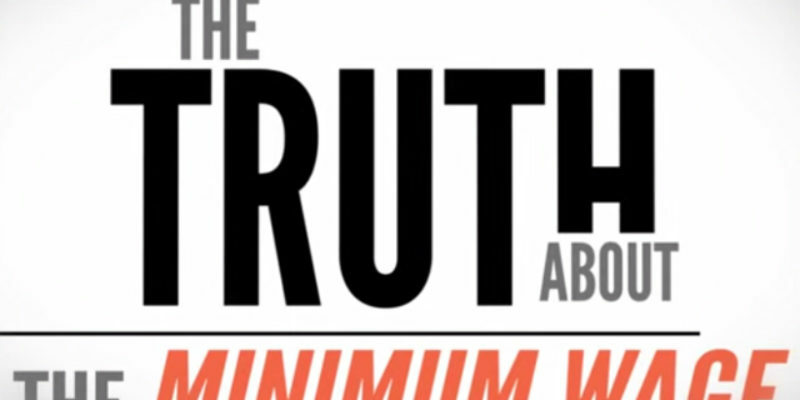 It also refutes the argument made in 2016 by the former president’s Council of Economic Advisors (CEA) who claimed raising the minimum wage to $12 per hour could prevent nearly 500,000 crimes annually. The authors of the study, Zachary Fone of the University of New Hampshire, Joseph Sabia of San Diego State University, and Resul Cesur of the University of Connecticut, disagree. Raising the minimum wage, the authors found, could lead to roughly 410,000 additional property crimes committed by mostly 16 to 24-year olds, and cost taxpayers $2.4 billion in associated crime costs. They examined property crimes, violent crimes and drug crimes, and used a regression method and other econometric strategies to determine the effect of the minimum wage. They sought to “be sure we were not confusing correlation with causation,” Sabia says. Their analysis found that property crimes were more likely to be larceny than burglary, motor vehicle theft or arson. Increased crime rates were identified in counties with populations over 100,000. By comparing the crime responsiveness to minimum wage increases, the authors found that a 10 percent increase in the minimum wage between 1998 and 2016 led to nearly 80,000 additional property crimes committed by 16-to-24 year olds. Using the same metrics, they calculated that if the $15 per hour minimum wage was implemented, another 410,000 property crimes would be committed as a result. The study was supported in part by the Employment Policies Institute (EPI), which also published a book and policy brief to explain the socio-economic consequences of a $15 minimum wage mandate. EPI estimates the mandate could result in the loss of two million jobs. In February 2019, EPI surveyed 197 economists in the U.S.; 74 percent said they oppose the federal minimum wage mandate; 88 percent said an acceptable federal minimum wage should be less than $15 an hour; 84 percent said a $15 minimum wage would have negative effects on youth employment levels; 77 percent said it would have a negative effect on the number of available jobs; 56 percent said it would negatively impact adult employment levels. Among those surveyed, 64 percent said a better alternative to increasing the minimum wage would be to expand the Earned Income Tax Credit (EITC). The EITC has proven to increase income and reduce poverty for many without the unintended negative consequences a higher minimum wage presents, they argue.